Reusable and relatively low cost heavy booster, meant for boosting the SpaceX BFR. Extend Airbrakes when descending at an altitude of about 15 km. 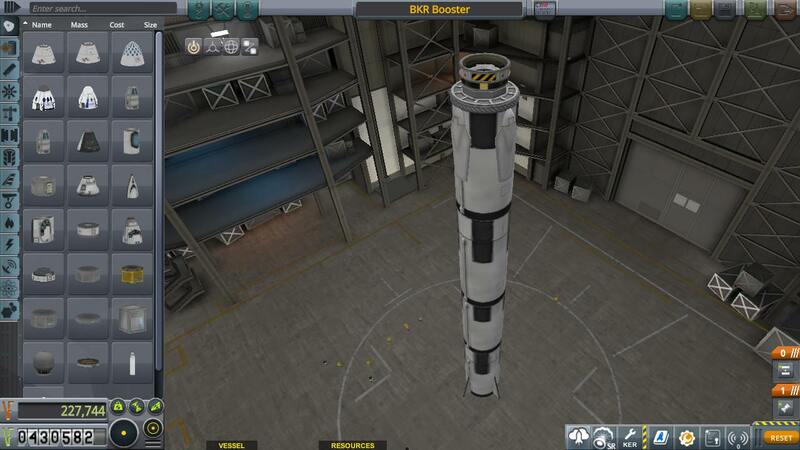 A mod rocket called BKR Booster. Built with 69 of the finest parts, its root part is Size3LargeTank.